Magento 2 Out of Stock Notification extension automatically sends notification email to the list of customer signed up for out of stock notification when product is back to stock. Magento 2 Out of Stock Notification extension allows out of stock email notification for both customer and guest visitors. They can sign up for product stock alert and receive email notification when the subscribed product is back in stock. Admin can enable product stock alert for any customer group as wish, so not-logged-in customers or guests can also sign up for out of stock notification. For customers who signed up for product stock alert, Magento 2 Out of Stock Notification extension will automatically send an email notification to them when the item is back in stock. 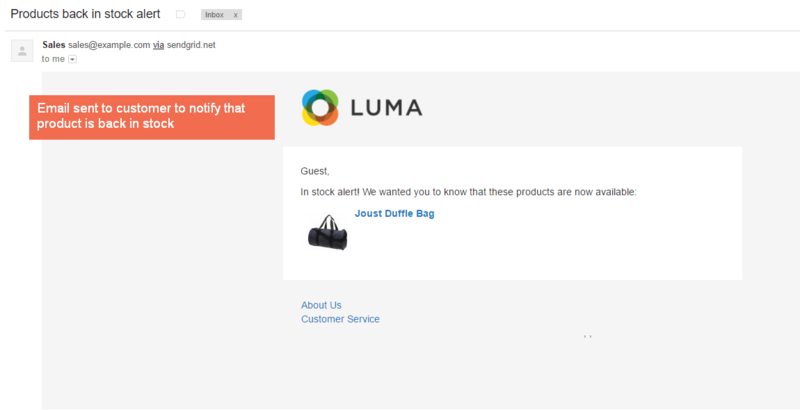 NEW UPDATE: You can now send the notification email based on the number of items in stock, and keep the rest of subscribers in the waiting list. Customers can easily manage their product subscription information on Customer Account Page. They can keep track of all subscribed products or stop notification for certain items. Magento 2 Out of Stock Notification extension give admin full control to manage the list of customers signed up for stock alert along with customer email, product name and number of times the stock alert email has been sent. NEW UPDATE: You can export the list of customer subscriptions to CSV file and Excel XML file. Admin can set up notification email, including email template, email sender, and limitation on the number of emails sent per customer. 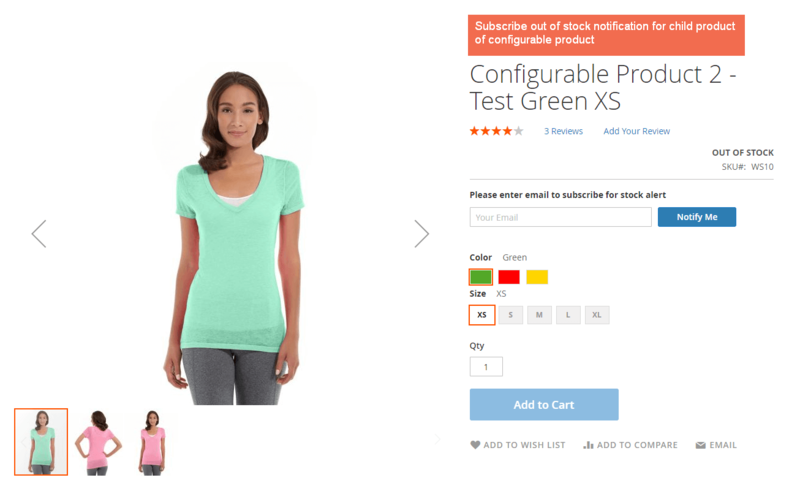 Why Magento 2 Out of Stock Notification is your must-have extension? Customers can easily sign up for any out of stock product and get an email notification sent to them when the product is back to stock. Thanks to this feature of Magento 2 Out of Stock Notification extension, they can shop easier and get the stock information earliest. Magento 2 Out of Stock Notification extension helps store owner quickly identify which product is highly demanded by customers. They can understand more about customer preference and refill the items that customers want to buy. I'm very happy with this extension. It's perfect for us. It works flawless and the support is really 5 stars! Very friendly and very professional :) Thank you. Among wonderful features of Magento 2 Out of Stock Notification, I love subscription for stock alert the most. Thanks and keep it up! Magento 2 Out of Stock Notification is simple and easy-to-use modules allowing my customers to subscribe to the stock notifications so that I can keep in touch with potential customers. And it works exactly as described. Thanks! Out of stock notification extension is exactly what my site needs right now. Every time a customer sees an out of stock product, I lose a potential customer. This extension really helps me keep in touch with customer and send them updated info when the product stock is refilled. Magento 2 Out of Stock Notification extension is truly what we expect from BSS. Easy configuration, basic function, reasonable price. We definitely come back for other module. It's the third module I buy from BSSCommerce. All works as smoothly as silk. My questions got replied immediately. No delay and straight to the point. Good module - I recommend it! This extension works well like the demo. Our customers are sending good feedback for this new out of stock notification feature. This helps us keep customer in the loop when their favorite items are back in stock.